A recent study by a group of researchers says that hydroelectric projects, long considered “environmentally friendly” sources of renewable power, are far from being harmless. Published on July 8 in the journal PLOS ONE, the research by a group of scientists from the University of East Anglia, England, reveals the loss of mammals, birds and tortoises due to the creation of the Balbina dam in Brazil’s Amazon basin, built in 1986. This dam is one of the world's largest hydroelectric reservoirs. 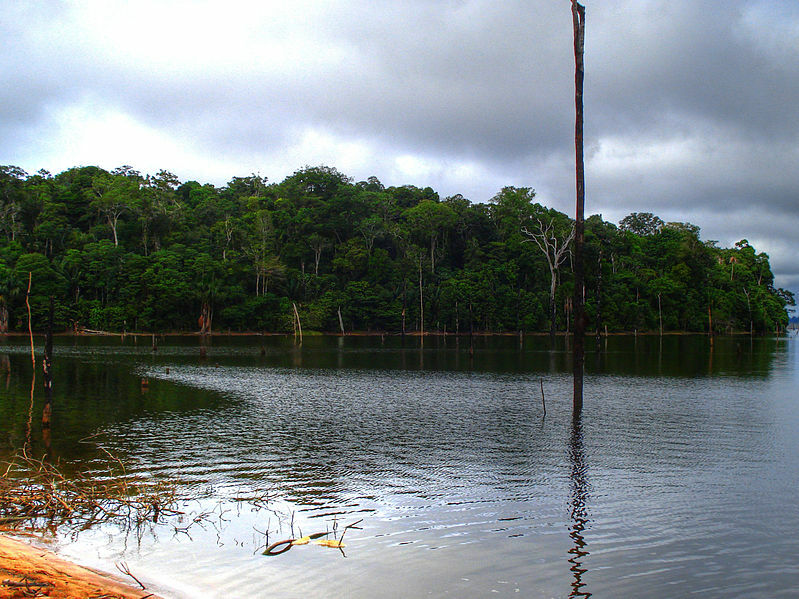 The survey was conducted in the reservoir area of 443,700 hectares in the Amazon rainforest. A surveillance of eight years by the field team working at BHR (Balbina Hydroelectric Reservoir) provided data regarding the landscape. The list of all terrestrial and arboreal vertebrate species was made based on the information available through field guides, IUCN records and extensive personal research. Vertebrate activities such as tracks, digging, faeces, burrows, partially consumed fruits were also taken into account. The dam resulted in the creation of an artificial archipelago of 3,546 islands. Earlier, it was an unbroken landscape of continuous forest. Surveys were conducted for over two years on 37 islands isolated by the hydroelectric reservoir and three neighbouring continuous forest areas. Land and tree-dwelling vertebrates at these 40 forest sites too were a part of the survey. Previous studies have shown that dams are built at the expense of environment resulting in greenhouse gas emissions, loss of fisheries and socioeconomic costs to local communities. The present research adds that forest biodiversity too pays a heavy price. Even the largest biological reserve in Brazil has a clear evidence of wildlife loss. And large mammals have disappeared from most islands formed by the creation of the dam. Maira Benchimol, lead author of the study while talking to Down To Earth, emphasised that tropical countries must utilise solar energy to its fullest potential due to high incidence of sun all year. "Only after environmental assessments, small dams should be considered as an alternative," she added. "The Brazilian government is currently planning to build hundreds of new dams in some of the world's most bio-diverse tropical forest regions. But the high bio-diversity costs of mega dams should be carefully weighed against any benefits of hydropower production."